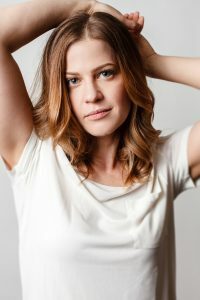 Tammy Gillis is a familiar face to the Hallmark set, most notably for her performance in a pair of Signed, Sealed, and Delivered films that probably broke you, but she’s also appeared in several one-offs for both networks, and will be back in the spring on the third Fixer Upper Mystery. She’s done a fair share of genre TV, too, appearing on series like Continuum and Lost Girl. In March, we’ll see her on Freeform in the upcoming new series, Siren. 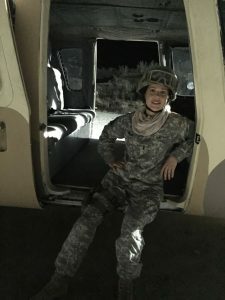 Tonight, she begins a four-episode arc on Syfy’s Ghost Wars. I spoke to Gillis this week about her recent TV roles, and her lead in the indie film, Menorca, which last month won her the UBCP/ACTRA Award for Best Actress. Gillis has a history with Ghost Wars showrunners Simon Barry and Dennis Heaton, and loved getting involved in the show. “I auditioned for a couple of different parts, but I know both of the producers and have worked with them before. Being on the show and getting to work with a lot of my friends was really amazing,” she says. 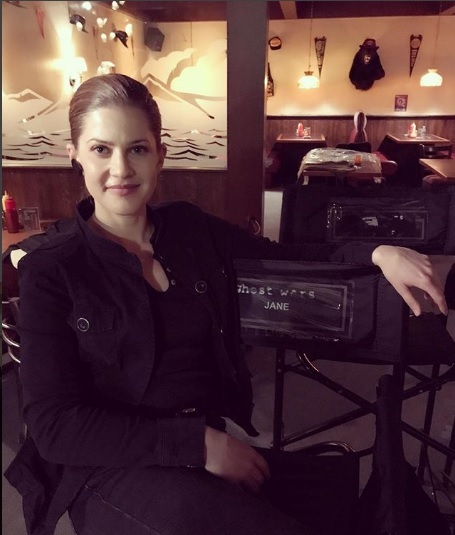 The details of Jane’s arc are being kept close, but Gillis did share a couple of teases. “Jane works for Lambda. In this episode that comes up Thursday, you’re going to be introduced to a couple of Lambda employees. Because we work for Lambda and are mercenaries, we have interaction with a bunch of people in town,” she explains. Menorca is a Canadian indie that’s done the festival circuit and is now available in the U.S. on Netflix and Amazon Video. “We keep calling it the little film that could and still does. They made the film for like $250K Canadian and had Canadian distribution before we shot it, and very quickly got American and worldwide distribution a week and a half before SXSW, which was amazing,” she recalls. Gillis has had a long relationship with Hallmark Channel and Hallmark Movies & Mysteries and appreciates the relationship. Two Signed, Sealed, Delivered appearances, in The Impossible Dream and Truth Be Told, had the most impact on her. “I love working for Hallmark. It’s always a really amazing experience. I love what the movies say and how they make people feel,” she says. 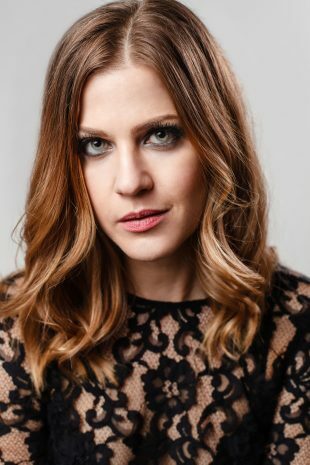 The current climate of “Me too” in the wake of a staggering onslaught of sexual assault and harassment claims resonates with Gillis, who’s had her own experiences and is now coaching and mentoring up-and-coming actors. “I’ve always been a person that is really open to any actor coming and asking advice. I try to leave that door open,” she explains. Ghost Wars airs Thursdays at 10/9c on Syfy. You can catch all of the season so far on Syfy’s website. Here’s a sneak peek of tonight’s new episode. It’s about to get real ugly for everyone in Port Moore.